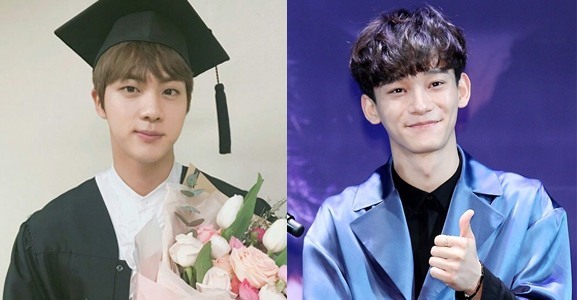 Jin of BTS and Chen of EXO entered Hanyang Cyber University. 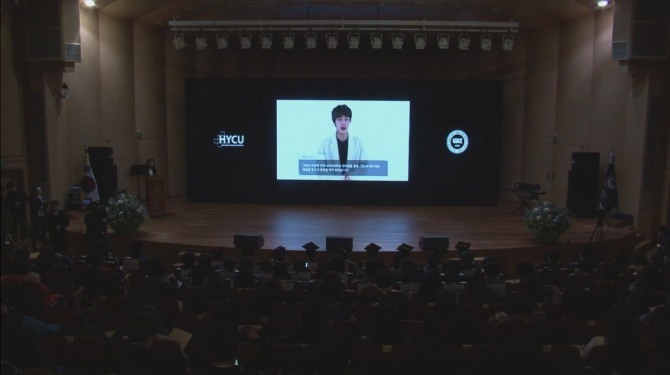 They greeted their fellow post-graduate students through a video disclosed at the recently held entrance ceremony to the Graduate School of Hanyang University. Jin’s group BTS recently released a special album “Wings: You Never Walk Alone” and swept the local charts with its track “Spring Day” and “Not Today.” The group kicked off its world tour “2017 BTS Live Trilogy Episode III The Wings Tour” in Seoul from Feb. 18 to 19. 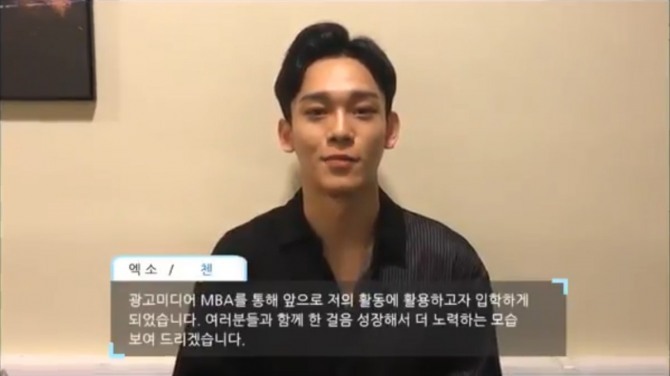 Chen collaborated with Korean Hip-hop duo Dynamic Duo on a single “Nosedive” in January, which topped six local music charts. He released on Feb. 16 a soundtrack for MBC’s drama “Missing 9” on which his bandmate Chanyeol is starring.